It was great to meet everyone that visited us at the Engineering Design Show this year. For those who couldn't make it, we made this short and informative video detailing some of the innovative products we had on display. We hope you enjoy it! 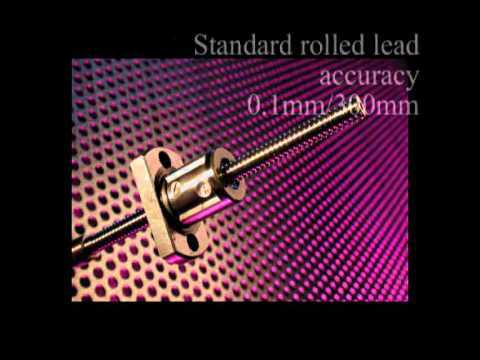 ABSSAC is an established supplier of lead screws, acme thread, ball screws and satellite roller screws. We have been assisting engineers to specify the correct linear products for their applications for well over 35 years. Our fast turnaround machine shop can supply end journals that are ready to fit directly into your application and help reduce your scrap rates. 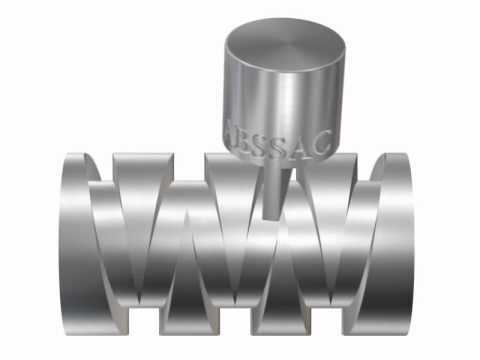 Abssac is also the home of the self reversing screw. 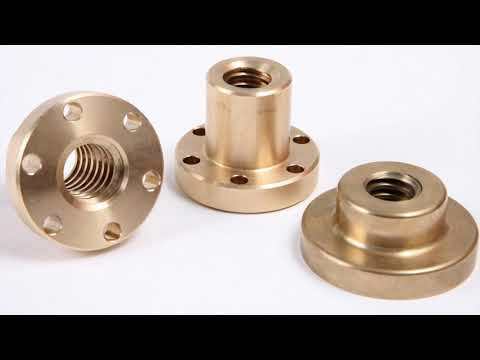 Let us help you find the right product for the right price, including support bearings, racks and splines and other related ancillary products. 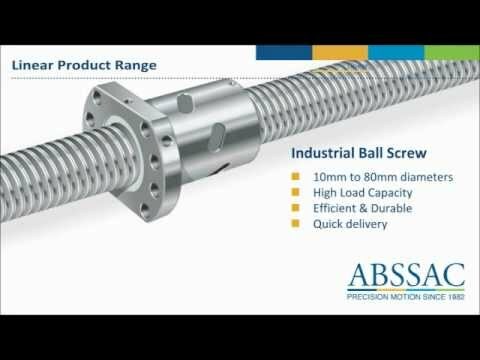 Precision ball screws convert rotary motion into linear motion. They are precise, affordable and available through ABSSAC limited. 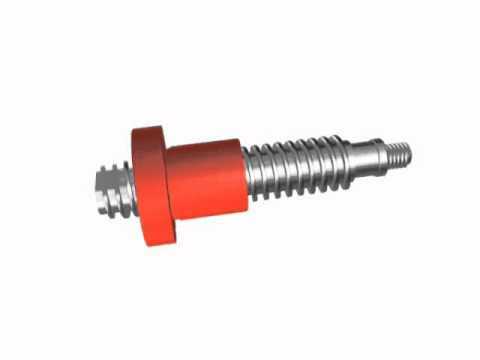 ABSSAC's self-reversing screw product does not require the driven screw to change its direction of rotation to enable the nut to return to its original start position. 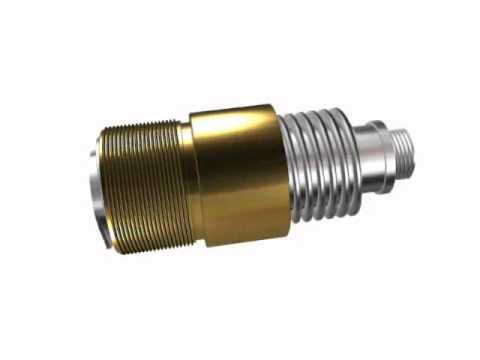 The reciprocated bi-directional movement is achieved by using a follower blade in the nut, that is matched to the particular groove width and screw turn round on the screw. 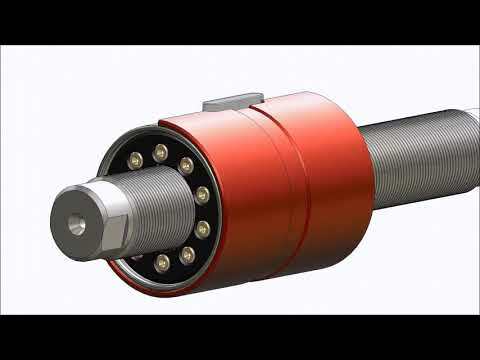 (Our self reversing screws, do not utilise ball bearings in their linear travel). The video shows the basic mechanics of the design we utilise. 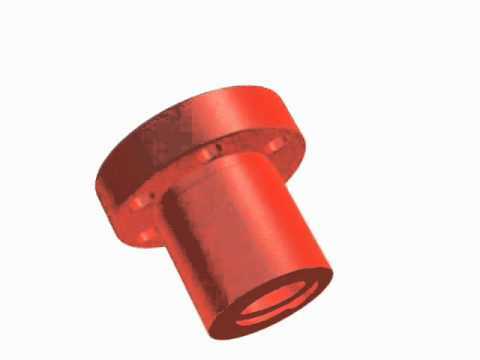 Abssac's animation of a stainless steel lead screw and bronze nut assembly. 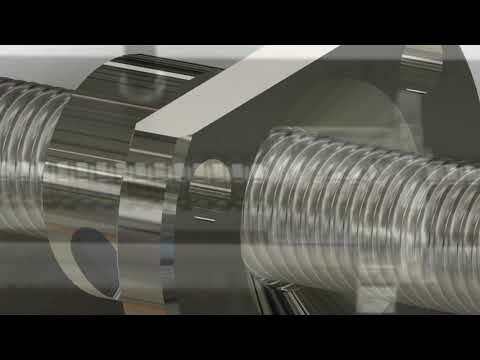 Abssac's animation of a stainless steel lead screw and plastic Tuircite flanged nut assembly. 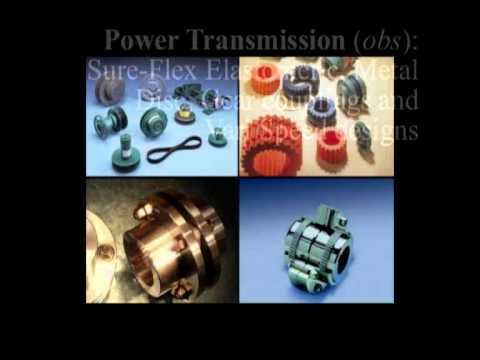 Servometer© electroforms are a formidable product package. 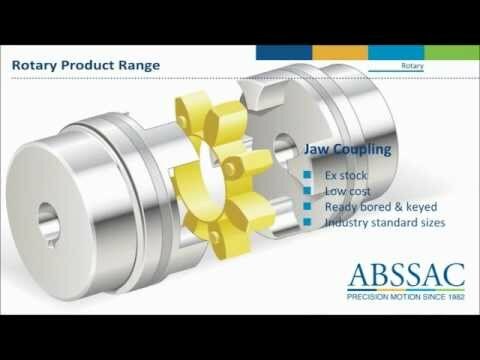 As the sole United Kingdom distributor, Abssac can supply quality-crafted bellows, couplings, electroforms, and electrical contacts. 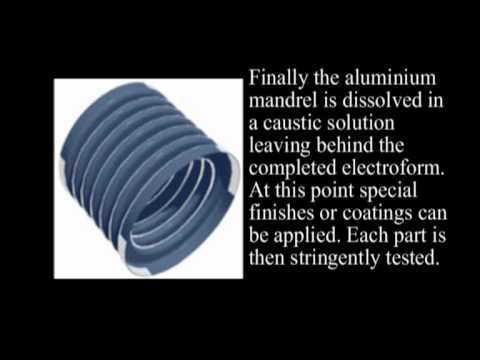 For those engineers familiar with the traditional electroforming process we are offering a new way of looking at both complexity of shape, wall thickness tolerance, integral strength and capability. 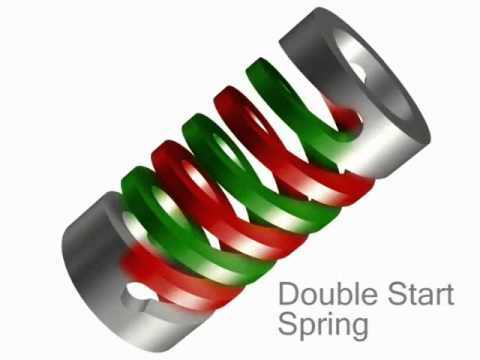 Using the unique machined spring product, the video shows one application that originally used three separate parts to achieve a compression spring assembly. The same product can be used to supply extension, torsion and lateral bending springs with the added advantage of better accuracy and your choice of end attachments. 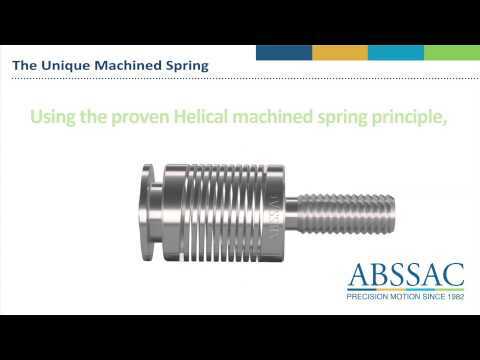 Abssac's full animated explanation of the unique machined spring product. With a traditional recirculating ball screw design, the captivated ball bearings within the nut housing transfer the load (force) between the screw and nut. This ordinarily means that in order to increase the load capacity, but remain with the same sized screw; you have to change the ball nuts physical parameters. Firstly, an increase in the amount of ball bearings physically touching the load surface of screw and nut within the nut housing will increase its load capacity. This can be done by increasing the amount of times the ball bearings recirculate within the ball nut housing, but the playoff of this change normally means a larger diameter nut housing or a longer nut housing. To this effect, the ball nut size versus its load capacity will always be apposing each other. It is true to say that all these options ultimately increase the load capacity, but in every case there is still a limitation of the actual load bearing surface area per ball bearing. This is where the satellite roller screw has a large advantage, which ultimately translates into a high load transfer capability.A satellite roller screw employs matched rollers to rotate (or satellite as the product name suggests) around the screw thread during actuation instead of ball bearings. By design, there is an immediate increase in the physical amount of contact points on the screw that can support a load compared with that of the same diameter ball screw. The satellite roller screw is therefore primarily chosen as part of a transition within a new or existing design to achieve greater load capacity and greater linear positional accuracy, in the smallest envelope space.The admissible static and dynamic load capacities are therefore considerably higher than that of ball screw for the same diameter. In fact the static load can be 3 times greater than that of ball screws and as a consequence, their lifespan can be up to 15 times longer. The many points of contact also give a satellite roller screw greater rigidity and shock tolerance than a ball screw without a compromise to friction or efficiency. After well over 30 years of business, we thought it would be great to share a day in the life of ABSSAC and the people behind the scenes that make us what we are. 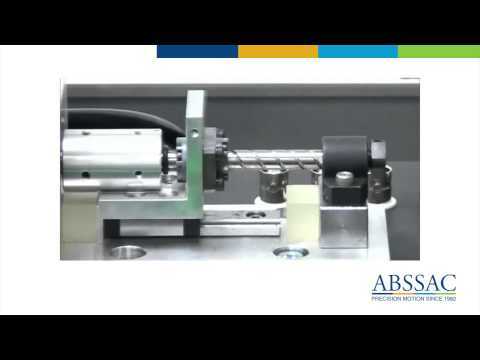 Filming actually took all day, but is compressed into a single well worth watching minute.Products supplied by ABSSAC have been incorporated in devices and systems operating in some of the most interesting and challenging environments on Earth - and beyond. From F1 cars haring around race circuits on every continent to connecting pumps in sewers, ABSSAC has the rotary and linear products to help.As always, we look forward to meeting you in 2017 or why not take this opportunity to explore our products through the following buttons. We hope you enjoy the video! 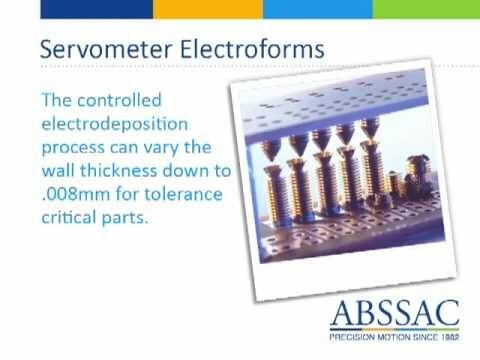 Servometer© electroforms are a formidable product package. As the sole United Kingdom distributor, Abssac can supply quality-crafted bellows, couplings, electroforms, and electrical contacts. For those engineers familiar with the traditional electroforming process we are offering a new way of looking at both complexity of shape, wall thickness tolerance, integral strength and capability. 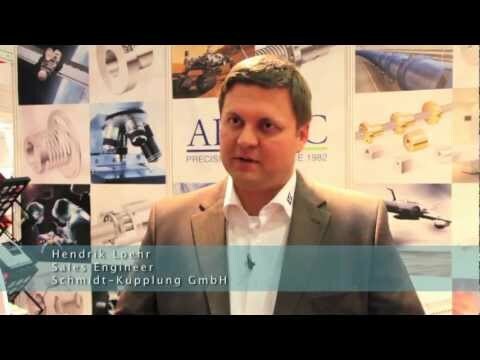 Abssac Limited's recent attendance at the Engineering design exhibtion. 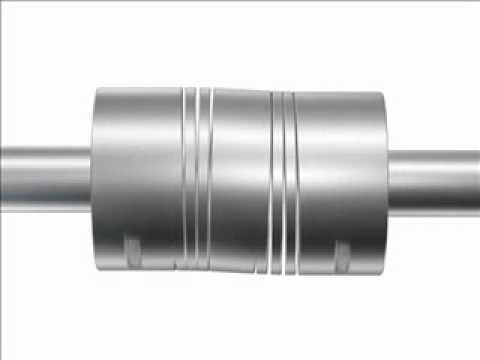 Shaft couplings - We supply Schmidt offset couplings, Helical beam, Sureflex, Atex, Bellows, Jaw, Metal disc and solid versions . Combine this with nearly 30 years experience, we are ready to help you find the right product for the right price.